It's basically Internet. For the whole Solar System. As more investment and innovation is given to space exploration, the ISS is becoming a very busy place. And with Moon colonies and manned missions to Mars looking more and more like reality, the nearly-20 year old station is in dire need of an upgrade. And its getting one. 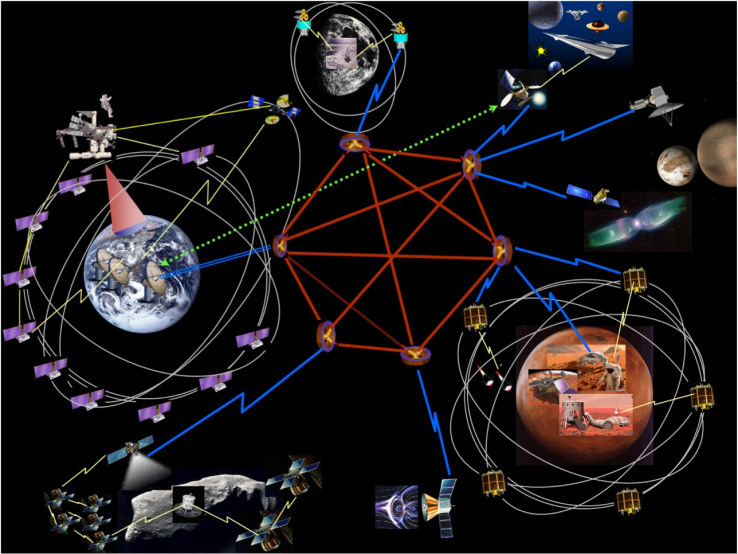 New technology has been installed in the ISS, and it is designed to form the basis of an internet-style network spanning the whole (or most of the whole) of our cosmic neighborhood. It’s called DTN, or Delay/Disruption Tolerant Networking. It’s basically Internet. For the whole Solar System. Traditional Internet protocols require all nodes in the transmission path to be available during the same time-frame. But for DTN, that’s not the case. DTN works by providing a reliable and automatic “store and forward” data network that stores partial bundles of data in nodes along a communication path until the parts can be forwarded or retransmitted, then re-bundled at the final destination. These destinations could include ground stations on Earth, robotic spacecraft in deep space, or even manned colonies. This makes the network very resilient; even if planets block the communications path, the message would still be received. The ISS recently added DTN to its Telescience Resource Kit, making the satellite the first piece in what NASA says may eventually form a Solar System-scale internet. Since the design was made to withstand the unreliable environs of space, it is logical to think that it would be applicable to disaster-prone areas, where such conditions also exist. “Our experience with DTN on the space station leads to additional terrestrial applications especially for mobile communications in which connections may be erratic and discontinuous,” said Dr. Vinton G. Cerf, a visiting scientist at NASA’s Jet Propulsion Laboratory working on the DTN. To make the protocols more accepted and used, many DTN implementations are publicly available as open-source code.